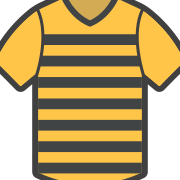 Alot of other teams have there own thread and at this time of the season I think it's time for an alloa one. A place where we can discuss the club and the tactics. Players who would fit in good with the club and realistic targets. Personally I think we have done enough this season to stay up and a win against raith rovers could confirm that. Those last three games look hellish. Anything less than wins against Raith and Morton and we might still be involved until the bitter end. Cowden's fixtures are probably worse, thankfully. Sod it; we'll be safe with three games to go, why not. There already is one further down the board. It hasn't been used that much given we already have the Duffle and Facebook page for Alloa discussion. You have to forgive Wilkinson for not knowing there was a thread already. They only let him out of the special needs school recently once he got to a mental age of 6. Apart from him good luck for the rest of the campaign. Hope you lose every game of course but it should keep us all on the edge of our seats. How's Barry Smith doing in comparison to Hartley at this early stage? A few Dumbarton fans thought that about Morton last night. Hopefully we'll beat you Wasps down at The Rock this Saturday though. I watched the game last night and Morton were excellent -if Dumbarton play like that against Alloa the points will go back to the recs -needs a strong ref to deal with murrays antics though . We took around 1000 there earlier in the season and there was still plenty of space on the terracing. I'm sure you'll be fine. We could potentially win the league there if Hamilton drop points and we win our next two. If so then we could take 2500-3000. Is that including any of the terrace behind the goal with cover? Does that ever get given or would it just not be possible with your home crowd and logistics? If we got the other end behind the goal would it be at the expense of the home support or would they still be accommodated? I know fans don't like it but I'd imagine the club will want to maximise this opportunity. This pretty much sums up how I'm feeling regarding this game.